We want to congratulate the beautiful Dreams Tulum Resort & Spa on some exciting awards and honors that they recently received for being a socially responsible resort. Distintivo “S” Award: Dreams Tulum was recognized for its best practices in the development of tourism projects involving environmental programs, eco-practices and self-sustainability. Inicia el Tortugatón 2013: Dreams Tulum is an official sponsor & participant of this turtle conservation program, which is run by Flora Fauna y Cultura of MExico, and is in partnership with X-Caret Mexico and Xel-Ha. This program promotes protection of baby sea turtles. 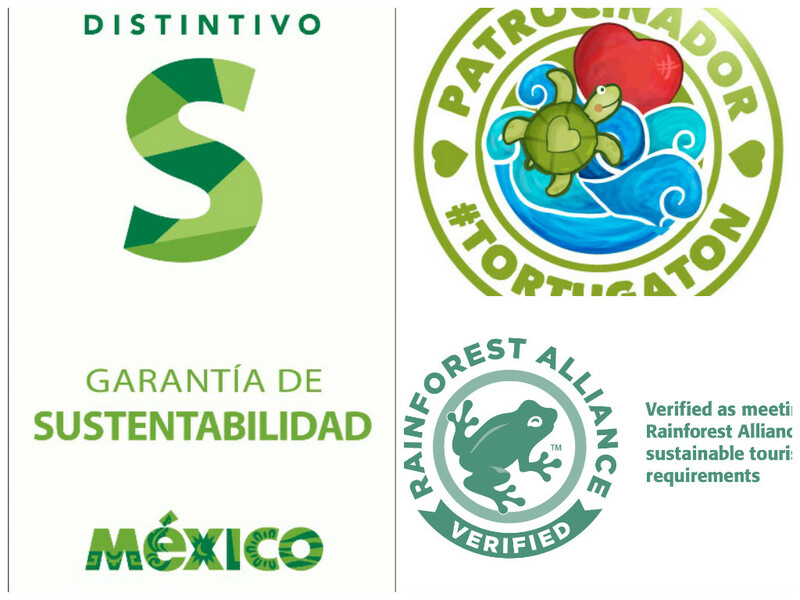 Rainforest Alliance Verified™: Dreams Tulum received this verification due to its commitment to reducing impact of its activities on the planet and local communities. At Dreams Resorts & Spas, it is very important to us to uphold a positive image to our guests. Therefore, all of our resorts participate in various environmental-friendly programs in order to protect our Earth. To learn more about what all of our resorts are doing to “Go Green”, visit our website. This entry was posted in Dreams Resorts & Spas, Dreams Tulum. Bookmark the permalink.